Autodesk® Alias® software is a premium solution targeted specifically for industrial design, digital modeling and technical surfacing. Autodesk Alias accelerates your creative design process by providing a continuous workflow from concept to production quality surfaces. With industry-leading surfacing capabilities featuring best-in-class sketching, modeling, and visualization tools for industrial designers and technical surfacing experts in automotive and other industries, Autodesk Alias allows you to create innovative and compelling designs faster, while maintaining design intent throughout the process. Explore and iterate design concepts with digital sketching, while factoring in key design requirements and engineering constraints. Transition from 2D to 3D with digital conceptual design tools to rapidly explore, ideate and iterate different design themes presenting more options for an improved decision making process. Using computational design tools, explore and iterate designs faster than every before, creating normally impossible shapes with ease and control. Experience your designs with one-click visualization workflows providing high fidelity feedback for iterative design reviews and evaluation. Develop your design from concept to digital surface model, while adhering to original design intent. Further enhance and refine the digital model to final design detail and appearance, using industry leading modeling technology and tools. Quickly integrate clay scan data into your digital design model, efficiently converted into high fidelity surfaces. Move the single data model from final design selections to production-ready class-A models quickly and seamlessly in one continuous workflow. Accurately evaluate surface quality and continuity, featuring interactive NURBS visualization for pixel precision surface display as well as analytic rendering modes. Make informed design decisions with high fidelity realtime interactive visualization allowing you to efficiently explore and validate alternatives. Visually communicate and collaborate around your design among teams and geographies, to improve design efficiency within the organization. Collaborate with someone working in Alias using Virtual Reality, seeing the changes as they happen immediately on a 1 to 1 scale. Generate marketing quality design images and animations directly from your design workflow, to present and showcase your design. Maintain design intent and integrity through the entire development process by easily sharing production surface data with engineering teams using common CAD applications. 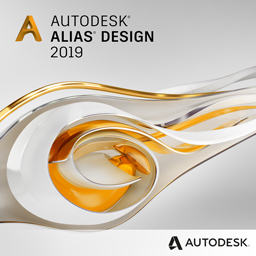 Autodesk Alias Design allows you to more rapidly explore ideas, iterate design concepts, and refine details with software targeted for industrial designers supporting the entire design process, from concept sketches through to detailed 3D design models. Also includes Autodesk SketchBook Pro software. If you’re interested in viewing a software demonstration of Autodesk Vault, please contact our sales team. Applied Engineering is happy to schedule a face-to-face or web demonstration at a time that is convenient for you. Contact us if you’re interested in purchasing Autodesk® Alias. Applied Engineering is authorized to sell Autodesk products throughout the United States and has offices in Minnesota, North Dakota, South Dakota and Wisconsin.